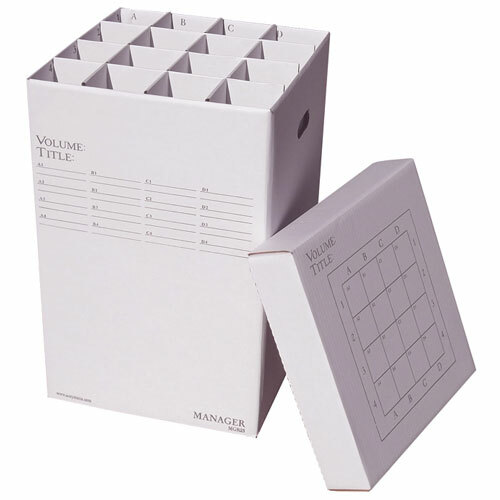 At 25 inches deep, a sturdy solution for organizing Maps, plans, and blueprints in your office or permanent storage. Easy-to-use, very sturdy, easily stackable, attractive corrugated cardboard and with a reinforced bottom. This product holds up well under daily use. These boxes are very sturdy and have held up well over the years. We buy about 1 to 2 boxes a month and keep our storage room organized. Its nice when a product arrives and you don't have to worry about it not working. These are built well and work perfectly for our needs. Paul M.
We had these put together in no time and we got our plans off of our desks and floor and we should have bought them sooner. Shipping was quick. We got these in 4 days.